Former Well kid back in Lanarkshire to bolster Stuart McCall's depleted defensive options. 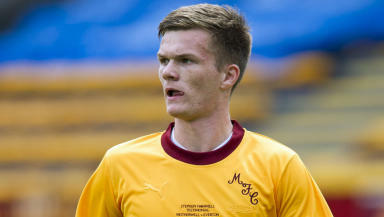 Motherwell have moved to bring in promising young defender Fraser Kerr on a six month loan deal. Kerr, 19, joins from Birmingham City, who he joined after coming through the academy system at Fir Park. 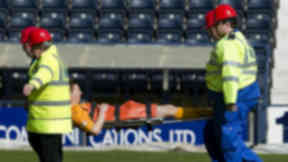 Stuart McCall lost Stephen Craigan and Tim Clancy from his backline in the close season, while Steven Saunders is facing another spell on the sidelines through injury, leaving McCall short on options in defence. The 6ft 3in stopper said he was happy to be back again and catching up with familiar faces around the Lanarkshire club. 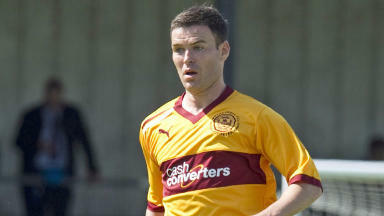 Speaking to MFC TV, Kerr said: “Obviously I spent a lot of time at Fir Park when I was young. “I know a few of the boys like Stuart Carswell and Josh Watt so it has been easy to settle in.